Bryce Heem leaves the field. This is dangerous for the defence as Josh Adams bursts through to advance the Worcester attack. 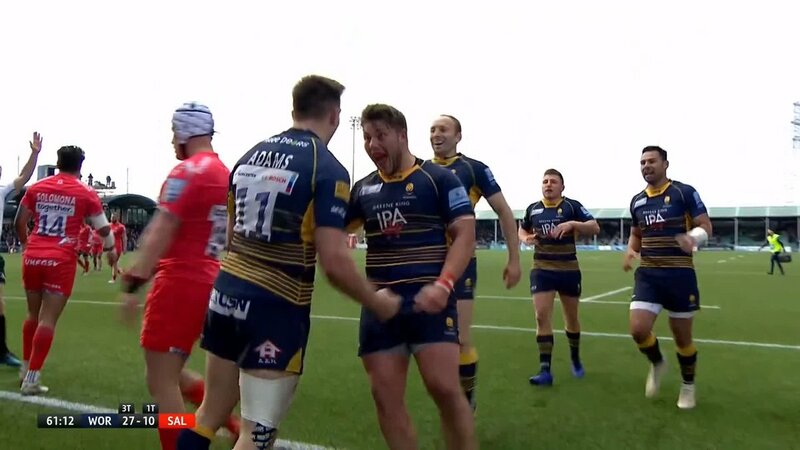 The kick through from Worcester has allowed Josh Adams to touch down. A gap opened in the defence and Francois Venter took full advantage. The defensive line has been broken as Matt Postlethwaite goes through the gap. A bit of individual brilliance by Matt Postlethwaite leads to a try for Sale. What a run here by Arron Reed as they gets over the gainline!. Bryce Heem (Worcester) is shown a yellow card. Sale make a substitution with Paolo Odogwu coming on. Sale make a substitution with Denny Solomona coming off. Worcester sub Andrew Kitchener comes onto the field. Michael Heaney comes on for Worcester. Francois Hougaard leaves the field. Ethan Waller sets up the try. 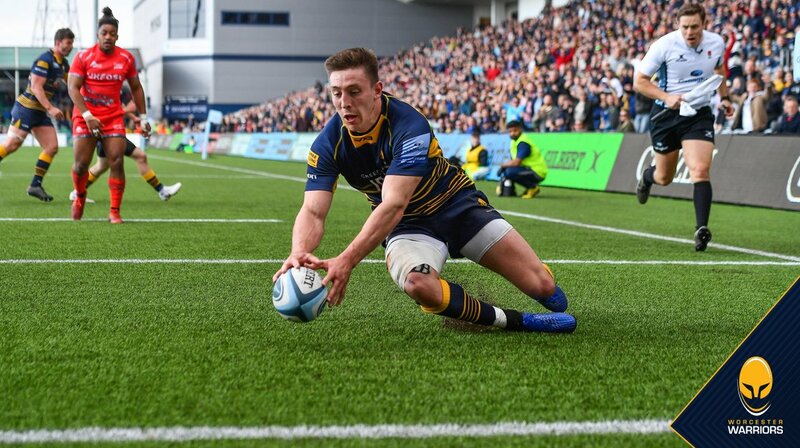 Silky skills by Worcester ends with a try for Josh Adams. Faf de Klerk comes off. Sale decide to make a substitution, with Joe Jones getting some game time. Sale decide to make a substitution, with WillGriff John being replaced. Sale make a substitution with Sam Moore coming on. Sale make a substitution with Jonathan Ross coming off. 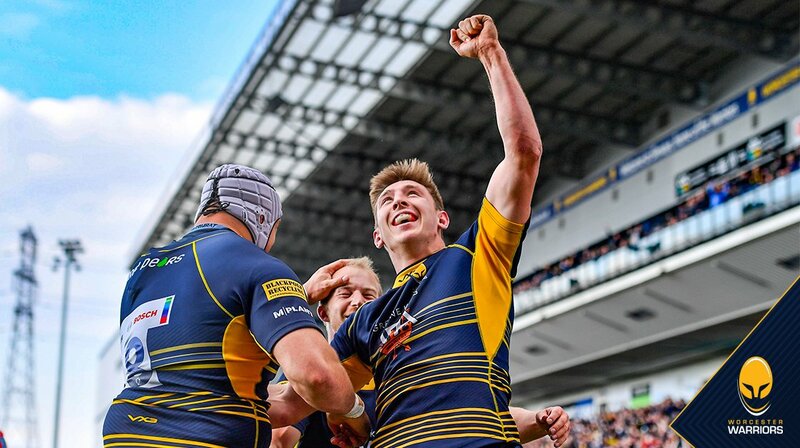 A wonderful passing move by Worcester is finished off by Josh Adams. Sale sub Matt Postlethwaite comes onto the field. Sam Moore departs for Sale. Sam Moore comes on for Sale. Josh Strauss leaves the field. Niall Annett has made 10 good tackles so far this game. Trouble here as Josh Beaumont breaches the defence. Rohan Janse van Rensburg played a key part in that try. A series of passes by Sale results in a try for Josh Beaumont. This is dangerous for the defence as Chris Pennell bursts through to advance the Worcester attack. 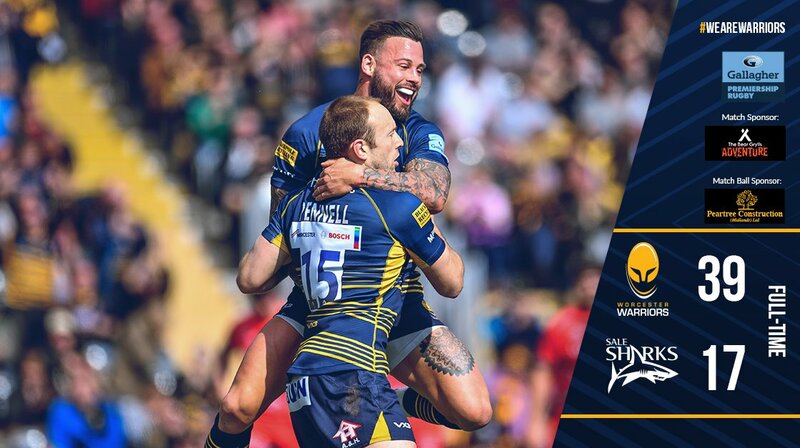 Great hands by Worcester leads to a try for Chris Pennell. A gap opened in the defence and Anton Bresler took full advantage. 🎥 "There's nothing like playing at your home ground when the crowd is right behind you." 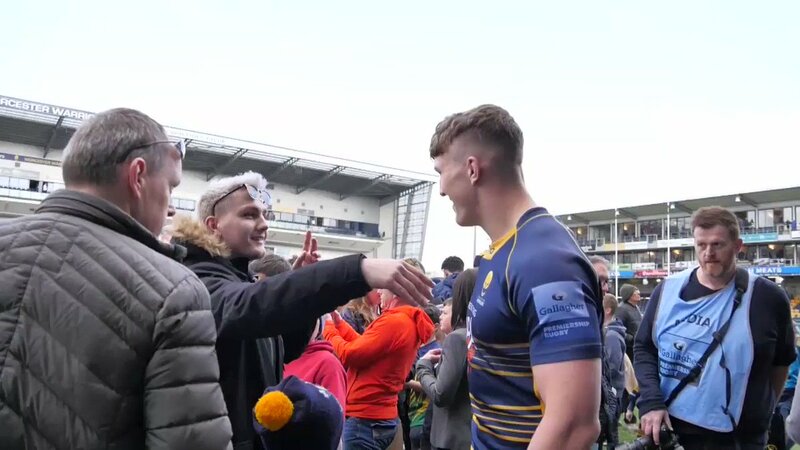 🎥 "I had lots of fun out there today and I want to make every game at Sixways count." 79m | Fantastic again from @duncan_weir! @MichaelHeaney9 with a beautiful kick through and @JoshAdams951 gets his HAT-TRICK`! 70m | Ten to play and it's looking good at Sixways!